Amazon.com description: Product Description: In The Value of Literature, Rafe McGregor employs a unique approach â the combination of philosophical work on value theory and critical work on the relationship between form and content â to present a new argument for, and defence of, literary humanism. He argues that literature has value for art, for culture, and for humanity â in short, that it matters. Unlike most contemporary defenders of literary value, the author's strategy does not involve arguing that literature is good as a means to one of the various ends that matter to human beings. It is not that literature necessarily makes us cleverer, more sensitive, more virtuous, more creative, or just generally better people. Nor is it true that there is a necessary relation between literature and edification, clarification, cultural critique, catharsis, or therapy. 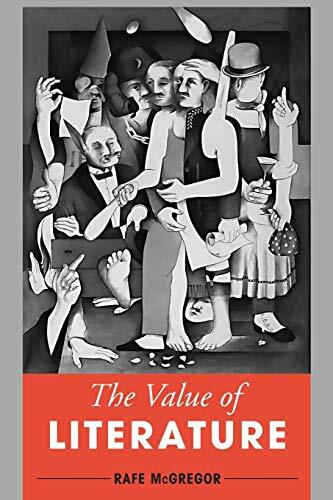 Rather than offer an argument that forges a tenuous link between literature and truth, or literature and virtue, or literature and the sacred, this book analyses the non-derivative, sui generic value characteristic of literature and demonstrates why that matters as an end in itself. About: In The Value of Literature, Rafe McGregor employs a unique approach – the combination of philosophical work on value theory and critical work on the relationship between form and content – to present a new argument for, and defence of, literary humanism.